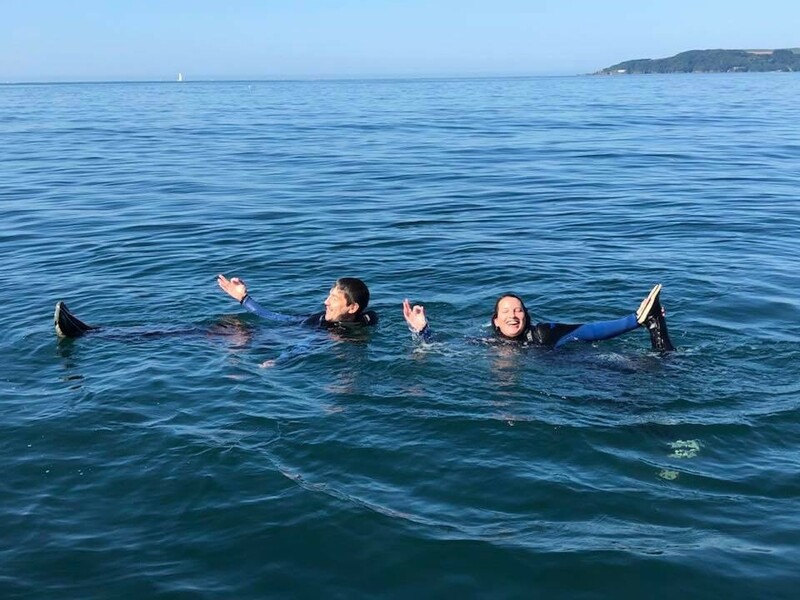 On Friday 13th of July a bunch of very excited Ocean Diver trainees and several more experienced club members got down to Plymouth to escape the city and into the sea. It was a training trip and for some of us, like myself, it was to be our first dive in the open water! After a very comfy drive down to the coast (thanks Bart!) 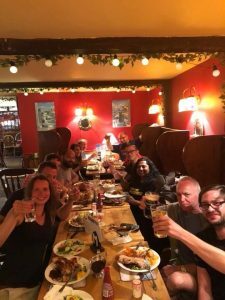 we arrived at the Mountbatten Centre and headed down to the pub to meet the rest of the group who had arrived earlier that day. We got an early night to be ready for the next morning’s dive. how hard it is to squeeze into a semi-dry double layer wetsuit. The hopping around to pull up the layers of neoprene was a good warm-up for the day and with the kit I borrowed from the dive club I felt well equipped for my first open water dive. In perfect conditions we headed out to sea for our first dive of the day at Cawsand Bay. We descended to about 6 meters and started ticking off some of the first skills, trying to get the “work” out of the way early so we would have time for the fun dives! We had some time to explore around the kelp forest and saw a variety of sea fauna and flora. We spotted a small jellyfish, a sea snail, spider crabs and some shoals of small silver fish. Getting back into the boat also turned out to be harder than expected, but, as during the whole weekend, the learning curve was steep and we had a good laugh. 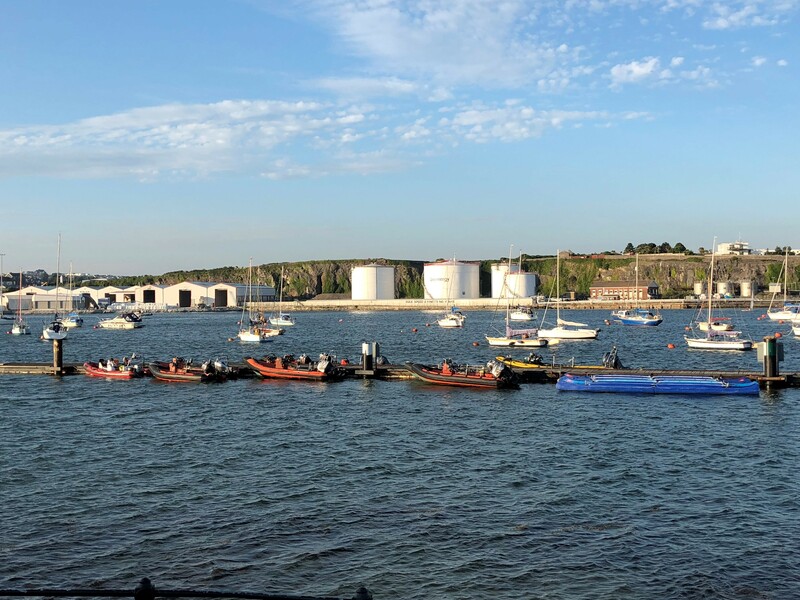 After a short break our group went to do the towing skills off a very, very muddy Mountbatten slipway while the second wave of divers went out to sea. Trainees remember they’re supposed to kit up first! On the third dive we were back on the boat and heading back out to Cawsand Bay. When we got to the bottom at about 7 meters we were surprised by a fairly strong current and so it turned out to be a drift dive! Luckily, my and my buddy’s buoyancy was quite stable so we could just float along and take a look at the sandy bottom and discovered more spider crabs, a decorator crab as well as some hermit crabs and other sea creatures. We then ended the day with a few beers at the pub by the sea and a good filling dinner. On Sunday we headed out early again for the second day of training. 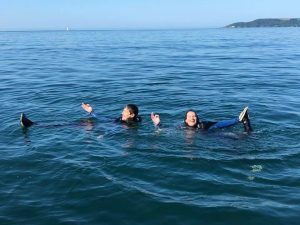 We dropped our own shotline at Bovisand Bay and were diving around the kelp forest, ticking off the last of our skills before we had some more time to explore and enjoy the scenery. The final dive was a wreck dive on the James Egan Layne (JEL) and my personal highlight from the trip! We went down to 20 meters and as we were descending it really felt like entering a completely different world. There was not much light left from the surface and we started diving around the wreck, discovering the shape of the wreck and all sorts of wildlife in the light of our torches. The visibility was not very good and everything felt kind of surreal and eerie but beautiful nonetheless. We saw different fish, jewel anemones, a lot of starfish cluttered around the surface of the wreck and even spotted some squid eggs under a slab of rock. Time went by way too quickly and we had to get back to the surface again to head back to shore. 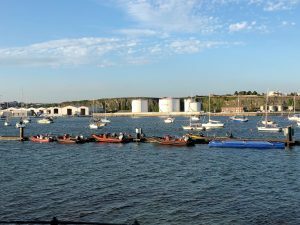 After getting the boat out of the water, cleaning and giving back our hired kit, we were all soon off again to make our way back to London. Overall the training weekend was an amazing experienceand I enjoyed it very much. Thanks for everybody who came along and made it so much fun and helped us/me get qualified!